Summer is optimal road trip season – the weather’s warm, everything’s open, and if you had to sleep in your car you could. 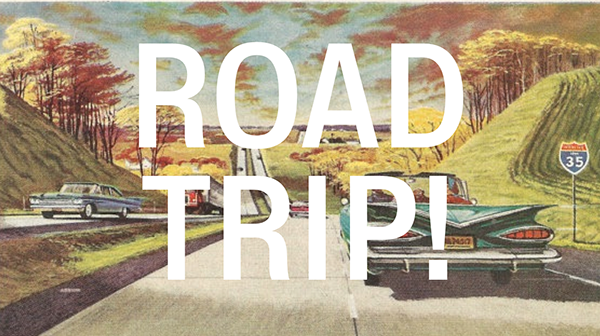 The best road trips are always those that plan themselves, they meander and go back to the two lane road. From this distance you can get a better view of individual lives that are being experienced in places you’ll never go back to. It’s a safe distance going through towns in a car; a feeling of relief as you passively view out the window various storylines that are taking place within daily life. A carefree sense of self that can only be attained away from responsibilities, a drift-less mindset, and nowhere in particular to go. The heat is too much for any intense life planning, it’s meant for us to let life happen in the summer. The film industry has tried over the years to capture that feeling. Several have been made over the years from Easy Rider to The Hangover: the hero’s journey is a series of mishaps and realizations found along the road. The following three movies briefly reviewed here are all compelling in their formation of characters, storylines, and resulting abandonments that road trips offer. My hope is that the summer offers a chance for everyone to indulge – in the meantime stop by the library and watch one of these films, or grab some cd’s to load in your car’s player and hit the road…..
Hunter S. Thompson’s book, Fear and Loathing in Las Vegas, was released in 1972 after having been originally published as two articles for Rolling Stone. Thompson was already a recognized counter culture journalist with credentials that included spending a year embedded with the Hell’s Angels in the late sixties. Fear and Loathing is a hard-edged, explicit romp through early seventies Las Vegas, a place known for it’s corruption and controversial interpretations of the American Dream. The film version co-written by Terry Gilliam of Monty Python fame, and starring Johnny Depp and Benicio Del Toro, captures the breakneck pace of the story, making use of visual imagery and camera angles to give you the warped sense of time and direction the book describes. As Thompson was a journalist (also know as Gonzo-journalism), so is the main character played by Depp in the film version, he travels with his attorney and Chicano activist friend to cover the Mint 400 Motorcycle race in Vegas. The book might give a person a bit more background but the film version gives you the road trip – every edgy, drug fueled detail and it’s fun to watch. The Griswalds: Clark, Ellen, Russell (Rusty), and Audrey – set off on the American Family Vacation – they’re going to Wally-World (insert Disney World for real world effect). 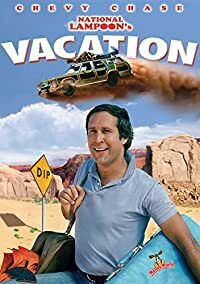 National Lampoon’s Vacation is a film based on a John Hughes’ short story (see my YouTube video about John Hughes movies here https://youtu.be/eYtOdH8QWdg) that was published in the National Lampoon Magazine as Vacation 58′. Quirky, well-developed every man characters drive this story of family hilarity led by Chevy Chase as Clark. He’s the well intentioned father trying to spend more time with his family while everyone sneers and begrudgingly goes along. 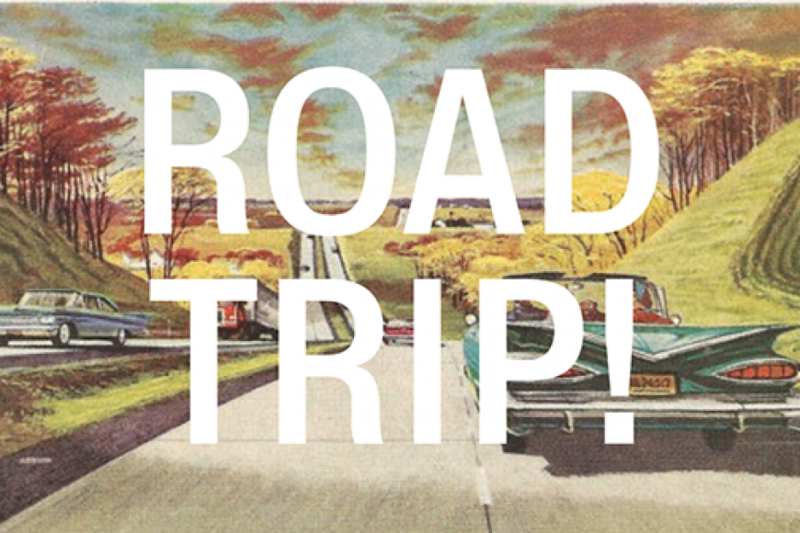 This is a true family road trip if you’ve ever participated in one, humorous and unpretentious, the Griswald’s allow us to laugh at ourselves. Clark (Sparky) does everything wrong: takes the wrong turns, gets lost, and ultimately gets the wrong business hours for Wally World which leads to a final twenty minutes of the film that has maintained a bit of cult status. I’m biased about beat authors, they were the counter culture I looked to as a teen to set the tone and pace for what should be a life best thought up. Kerouac was my dreamboat literary boyfriend who I jealously guarded against phonies and interlopers. I’ve let some of that go through the years and even learned to hate Kerouac a bit. 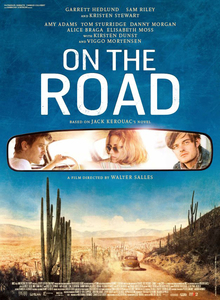 It cannot be denied, though, that On the Road is a seminal road book and now film. Kerouac wrote in a stream of consciousness that made your brain feel as though it was right there, he was talking to you, and you could feel and sense the beatitude he was espousing. The film version released in 2010 and stars ‘the girl from Twilight’ Kristen Stewart, who does a really good job, actually. It follows the layered and open ended relationship between Dean Moriarty and Sal Paradise (AKA Neal Cassidy and Jack Kerouac) and Dean’s girl at the time, Marylou. These are the years 1947-1950 and there are only two lane roads – Moriarty is the king of the West: he works on and off as a brake man for the railroad and in between steals cars, womanizes, and pontificates- Paradise on the other hand is Catholic, East coast bred, has a bit of college in his belt and needs to be able to let go and experience. The film version does a good job with the multiple points of view, utilizing the jazz element and mood, the stark reality of their relationships, and the sometimes flamboyant nature of their sexuality. Don’t expect a clear cut narrative but allow the mood and style of the film to engage your thoughts.